Possession of Heroin Cases on the Rise! In my opinion, this article is long overdue and right on point. On a daily basis, our criminal defense lawyers deal with new and existing clients who are charged with drug crimes in Macomb County ranging from possession of marijuana, possession of analogues or possession of heroin. We are also seeing a greater number of cases which involve the drugs ecstasy (MDMA) and methamphetamine. Drug offenses are consistently high on the list of prevalent misdemeanor and felony cases which we handle. From a legal point of view, the drug user who is charged with a crime must address a drug problem while going through the formal court process. The defense of drug crimes such as possession of heroin are unique from a criminal defense attorney’s point of view. We first start out by determining whether there is a defense to the criminal charges. The most common defenses which are advanced on behalf of individuals charged with drug crimes are “lack of possession” or “illegal search and seizure“. Secondly, we need to determine the extent of a client’s substance abuse problem and make recommendations accordingly. I like to think that the legal process for someone charged with a drug crime can be the “turning point”. When we can reach someone at this juncture, the chances of managing a drug problem are huge. However, the drug user cannot do it alone. I consider family members to be the most important component in the overall plan to remain abstinent. A parent may consider keeping very close tabs on a child with a drug problem. This may mean taking away the car keys and privileges. In extreme cases, we recommend that the drug user enter an in-patient program for detoxification and monitoring depending upon the circumstances. Other components of rehabilitation include Narcotics Anonymous meetings and intensive out-patient programs. Once in the court system, we may petition for “Drug Court” or other recognized programs that are favored by a particular Judge. A successful abstinence plan also necessitates lifestyle changes such as engaging in healthy activities, diet and spirituality. Our vast experience handling drug crimes and proactive stance towards these cases can lead to an excellent outcome in the court system and a viable recovery plan. We often utilize a special statute which is found in the Controlled Substance Act (MCL 333.7411) to obtain a dismissal of drug charges which involve use or possession. However, dismissals are not available if the offender is convicted of delivery or manufacturing. Earning a dismissal pursuant to MCL 333.7411 means staying drug free, random drug testing and not getting any other arrests. We have found that courts will impose greater restrictions and requirements upon individuals that cannot manage themselves. For this reason, our strategy when representing drug offenders is to outline a long term drug-free plan. A reality of drug addiction is the aspect of relapse. Understanding that relapse is a process and having the tools to avoid relapse are essential. A relapse is often discovered when someone who is already in the court system fails a drug test or obtains another drug related criminal charge. This only compounds the existing legal problems and may mean incarceration or other penalties. Approaching the court in these situations requires the offender to implement Plan B. In other words, the offender may need to enter an in-patient program or take additional substance abuse recovery measures. In some cases, we can ask to delay the underlying court cases while the offender is an in-patient. Although not guaranteed, most courts will work with us to schedule court dates after the offender completes a residential treatment program. It is our function to provide the court with the details of our client’s relapse prevention plan in these situations. Since the courts know that a relapse is an inevitable aspect of recovery, we can often avoid the harsh criminal sanctions on behalf of a client that experiences a relapse while in the court system. 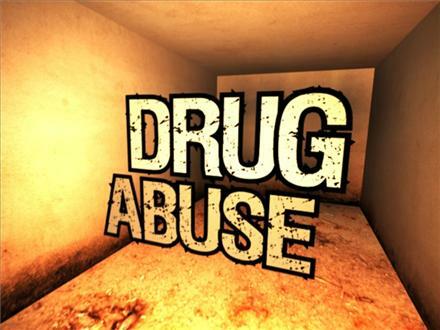 Drug cases can result in a felony record and prison. Fortunately, the court system has some safe havens which are designed to give a drug user a second chance. The ABDO LAW FIRM can make recommendations and work closely with family members to achieve the ultimate goal of getting a drug problem under control. In addition, proper management of a criminal drug charge may mean avoidance of jail, avoidance of a felony conviction and possible dismissal for eligible clients. For other information regarding drug crimes, view our post on cooperating with police when charged with a drug crime.